As part of his student preaching endeavours, he has also been part of many student conferences and has contributed in areas such as Interfaith harmony and Science & spiritual synthesis. 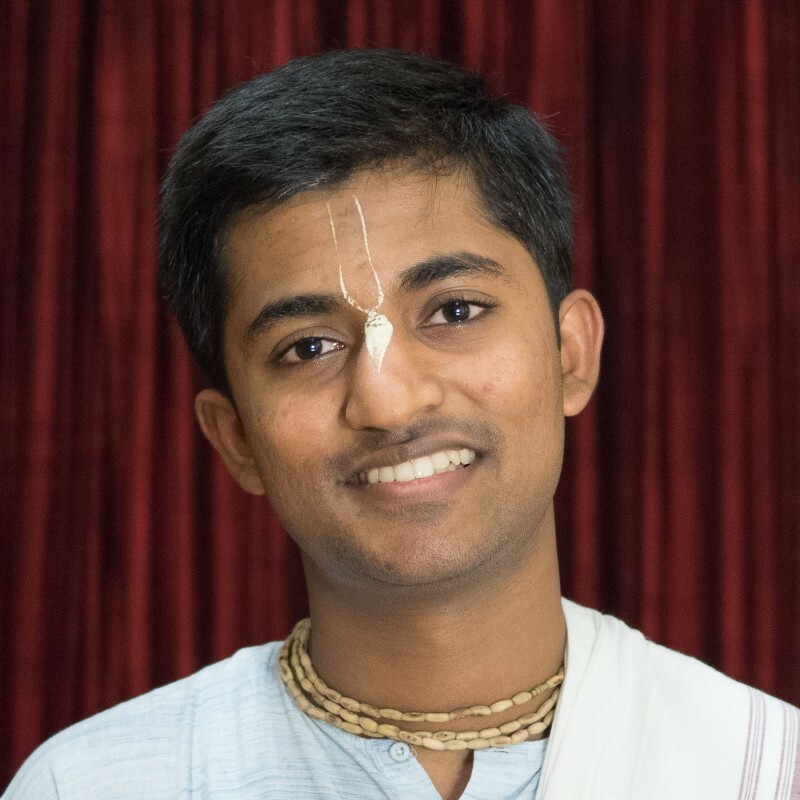 Academically, Amarendra Prabhu is a Masters in Electrical Engineering from the University of Massachusetts and spiritually holds a Bhakti Shastri degree from Mayapur. With a sincere heart, he expresses his heartfelt gratitude to His Holiness Bhakti Swarup Damodar Swami for being a very strong pillar in his life, motivating and guiding him as a well wisher, to his family for selflessly sacrificing their personal interests for making him a devotee of the Lord and to all the devotees worldwide who have lovingly nourished and nurtured him with their priceless care, intense prayers and sincere blessings.